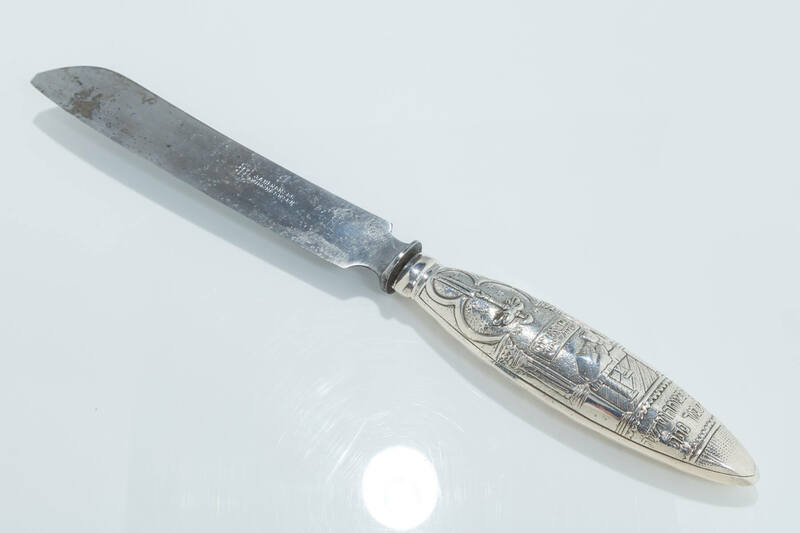 A CHALLAH KNIFE WITH SILVER HANDLE. Germany, c. 1920. The handle decorated with Sabbath table scene including judenstern, a kiddush cup, a Sabbath table and biblical commandment to remember the Sabbath. Verso in the shape of a braided challah. 11.1” long. Marked 800.